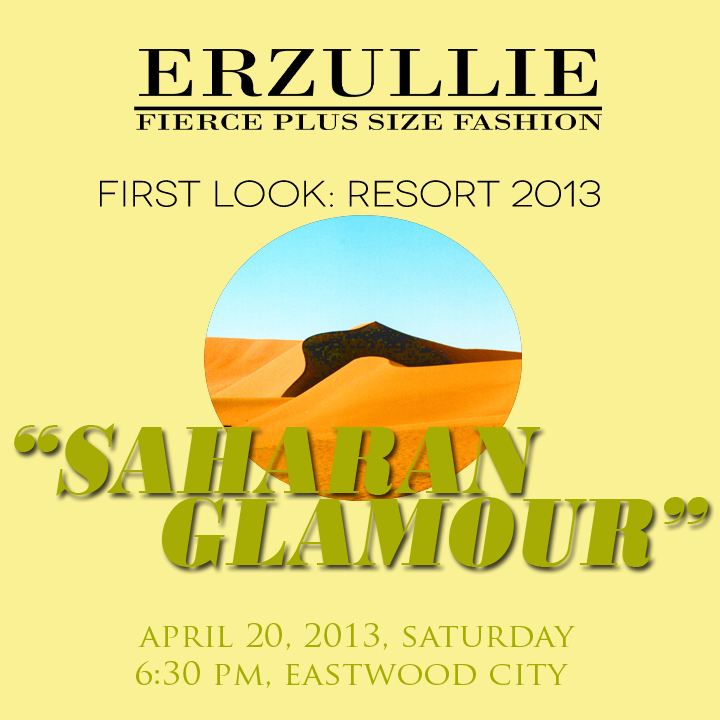 Erzullie Fierce Plus Size Fashion Philippines: PLUS SIZE FASHION: ERZULLIE FIRST LOOK RESORT 2013 TODAY! PLUS SIZE FASHION: ERZULLIE FIRST LOOK RESORT 2013 TODAY! Just a few hours more before the private and exclusive launching of the Erzullie Resort 2013 collection. We are very grateful for all of the Erzulliestas and their guests that have reserved their slots and will be going to the event later! See you later, Erzulliestas and remember to dress: "Erzulliesta Fierce" later!